Good morning! 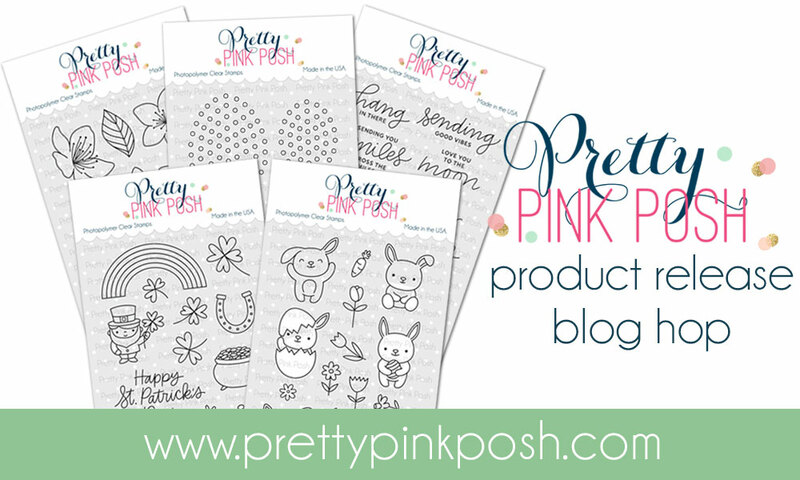 Today is the second day of the fun blog hop to celebrate the new Pretty Pink Posh Spring Release! You can check out the entire release HERE. There is TONS of inspiration to be found along the blog hop - and a few fabulous giveaways as well! I started off with the beautiful Happy Easter Shaker Die - cut from white cardstock, and then with the words trimmed out of the center with detail scissors. 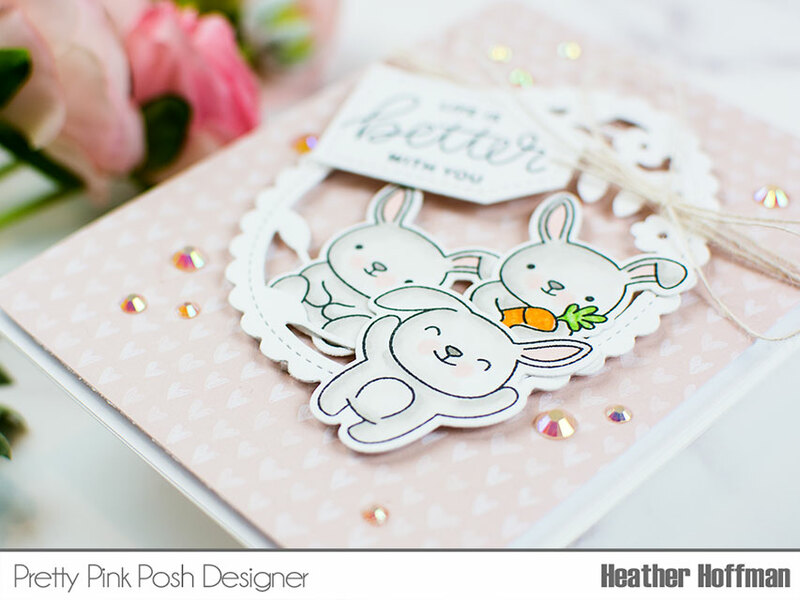 I then stamped and colored up several of the adorable bunnies from Bunny Friends and die cut them with the coordinating Bunny Friends Dies. 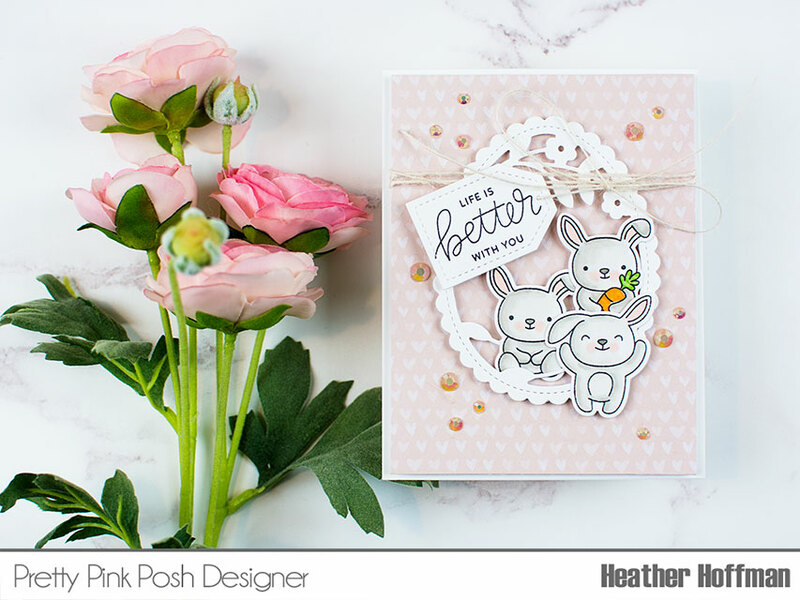 I attached the Happy Easter Shaker Die with the fabulous Foam Adhesive Strips that are back in stock at Pretty Pink Posh (these things are awesome - nice and thin and perfect for adhering little frames like this - and the price is great as well!) - then tucked the colored bunnies in around attaching with foam adhesive. I added a sentiment from the new Encouraging Greetings stamped on a cute tag die cut with Mini Tags Dies, and tied on some jute twine. Finishing touch is some of the new Buttercream Jewels - you are going to want EVERY. SINGLE. COLOR. of these!!! 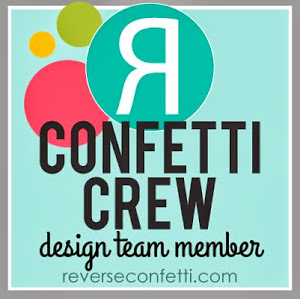 SOOOO fun and fabulous - I'm addicted to them! Now the fun part - there are a total of 4 $25 Gift Certificates up for grabs - 2 winners for each day - Winners will be picked randomly along the blog hop. Make sure and leave comments by 11:59 PM PST on March 12, 2018 to qualify! 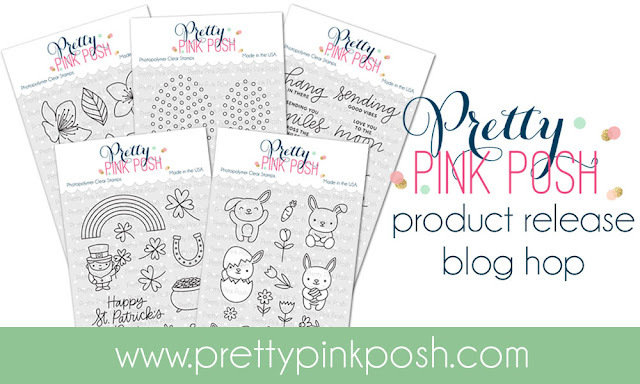 Winners will be announced after that on the Pretty Pink Posh Blog! Pretty card. I like the background paper you choose too as it has a really soft effect. Those buttercream jewels are a beautiful detail as well. Those bunnies.....EEEEPPPPPPP!!!! Your bunny card is super adorable! !Love it!! Sp adorable! I love that gorgeous egg die. These bunnies are just darling! I love the pretty buttercream jewels too. Shaker cards are so fun! Thanks for the inspiration!! So soft and sweet. Adorable how you squished those bunnies in the egg. The egg die frames your adorable card beautifully! Great card! Those Buttercream jewels are my favorite! What an adorable card, love the design and the delicate colours. Those gems look fab, too! 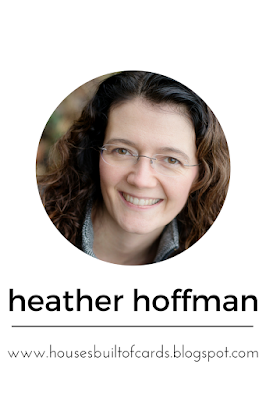 Love your charming card Heather! Those bunnies are just too sweet, and your card is adorable! Very pretty! I love the adorable bunnies and sweet sentiment! Such a sweet card! Lovely colors! What a cute card! Love this new release by PPP. Oh, that is so pretty! The bunnies are awesome and your colours are perfect! So cute with all of the bunnies, the heart paper and the sequins. Such a soft & pretty card. I love the sentiment that you chose to use. Sweet cards. I am loving the bunnies. Great gems great products. So cute! Life IS better with bunnies! This is an adorable card!! So cute with the polka dots! Such a darling card! Love the soft pink background! Very cute! (love the colour scheme). i like how you referenced beautiful roses as your color inspiration. Cute Cards, thanks for sharing them! Beautiful. Dainty. My niece would love an Easter card like this. Such inspiration. Love this. Such an adorable Easter card! Love the egg stuffed with cute little bunnies and all of those beautiful jewels! Great design and execution! Thanks for sharing your creativity. I just want to squeeze these little bunnies, they are so stinking cute! I love the bunnies on your sweet card! Love your beautiful Bunny card. Such cute bunnies! I love this! Such an adorable card! It's like a wreath of bunnies!!! I love the patterned paper you used and the jewels are so pretty! That's the perfect paper to back up your adorable bunnies! 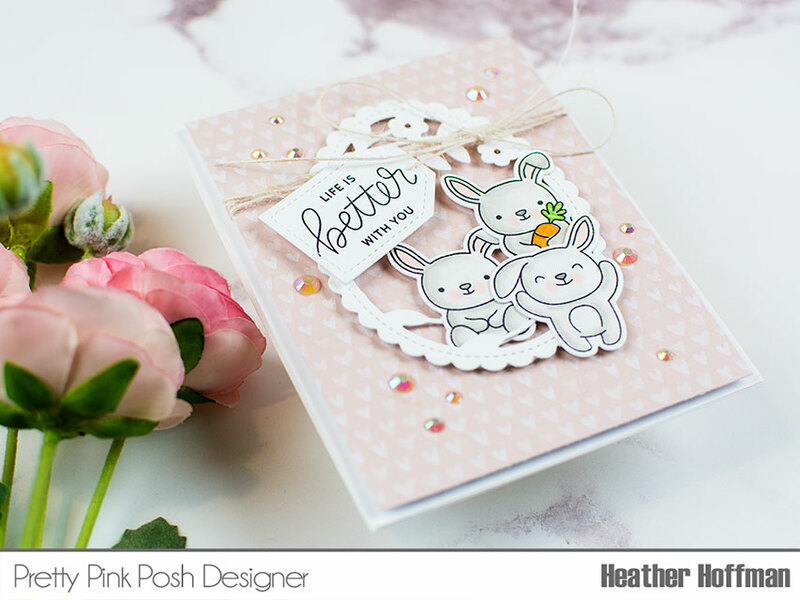 I love the look of the die cut and the little bunnies all tucked into it on top of that subtle pink. I wouldn't have thought to use the buttercream jewels, but they work perfectly! Moral of this story: never underestimate PPP's embellishments! :) Thanks so much for sharing this sweet card with us! Gorgeous and adorable all in one! 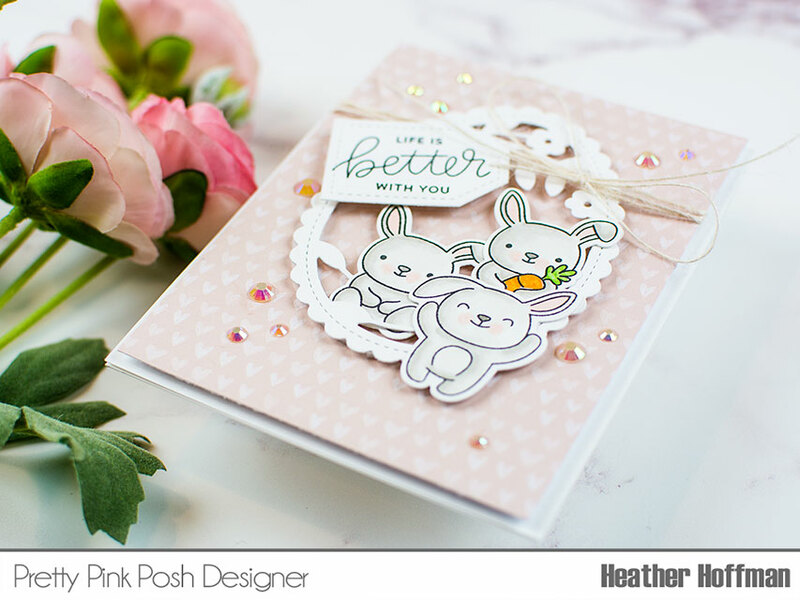 Cute bunny images and I love how you arranged them on this very pretty soft pink card. These bunnies are super-sweet and I really love the soft colors. Love the soft, cuddly cuteness of this sweet card. Darling card! Love the egg die and those cute bunnies! The Easter egg die may be one that I have to have after looking at all these amazing cards!! Love what you did with this card! Great color choices, so pretty!! 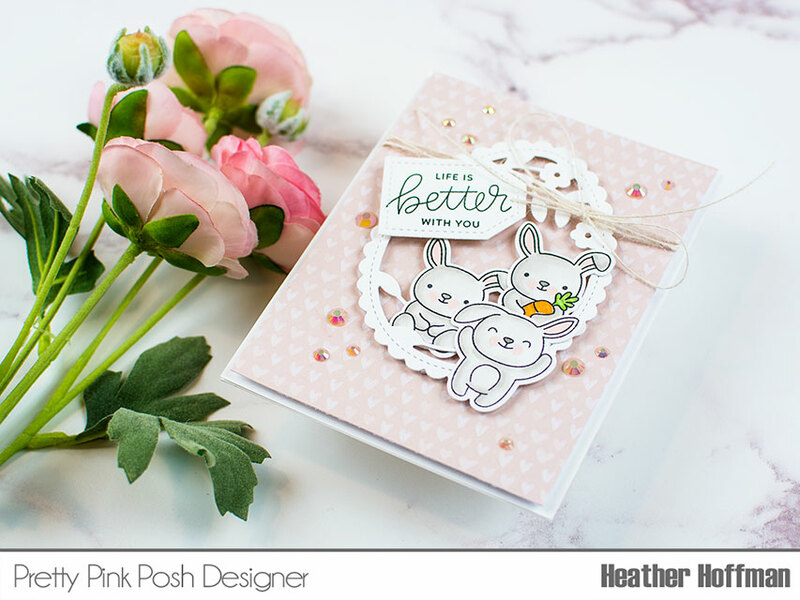 Your cards are so sweet and the colors are so soft- Just like a bunny! Such an adorable card. I love those bunnies. Love the embellishments on the card! So creative! Love it. Sweet and delicate card! Love the soft background for those super cute bunnies. These bunnies are so cute! Love the card. Adorable bunnies! Such a sweet card!! Sweet bunnies! Love how you framed them. These bunnies are the cutest ever ! 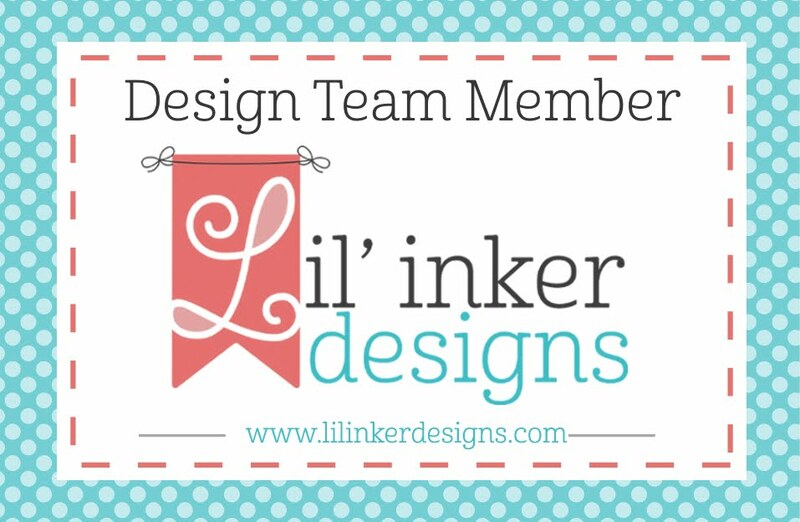 From All of Us - More Lil' Inker Cuteness!